Professional learning. In Italy. With Anthony Bourdain. On us. Win a free professional learning trip to Milan. This July, you and a colleague could attend our Global Leadership Summit in Milan, with keynote speaker Anthony Bourdain—on us. 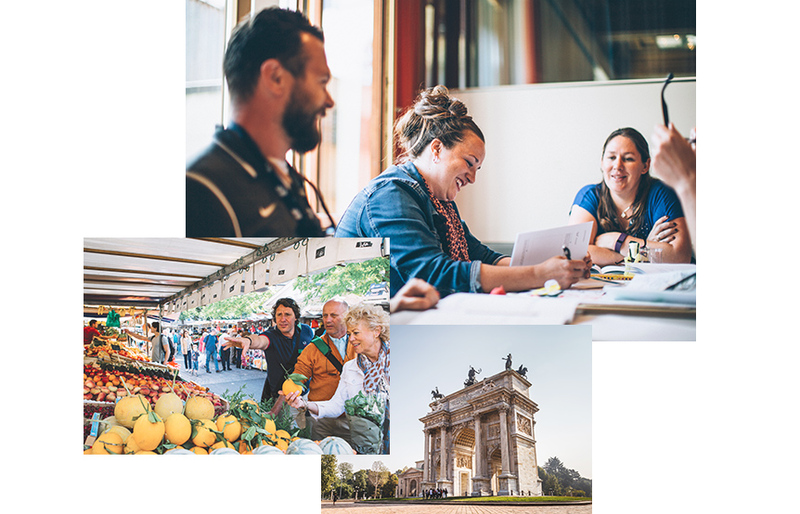 This trip includes a four-night stay, airfare, and a two-day leadership conference facing The Future of Food. Hundreds of students participate in EF Summits—extraordinary events that tackle significant global issues in places where they come to life. You’ll be working with other educators, experiencing the Summit on your own track with the opportunity to earn professional learning hours or points. If you can’t make it in July, we have two other Summits you can choose from in 2018, The Influence of Technology on Society in Berlin or New York City. Teachers, fill out this quick form to enter and to learn more about other travel opportunities with your students. Which Summit are you interested in?